It has been a long due to call your best friend, who lives abroad. But, due to a tight monthly budget plan, you cannot afford to make an ISD call. A single minute will take a hefty amount of money and you don’t have the liberty to spend such an amount for a single minute. Well, you don’t have to when you have the free app to make calls. Now, you have the liberty to take note of the best iEvaphone free calling app, which will help you big time to make calls anytime you want and anywhere around the globe. It just takes a simple app for you to use. In terms of other applications, you have to install that into your smartphone or other devices to use it. It takes a lot of memory space and that will slow down the entire processor. Well, this isn’t the case when you are dealing with the free calling app. Now, you don’t have to bother spend a single penny when it comes to calling and don’t even have to download or install any app for that. All you have to do is log online and get to the site. After that, you can make free calls from there. Once you have successfully placed a call, you can log out from the website. In some instances, apps might ask you to add Adobe based plug-in for better functionality. This will ask you for other installations to be made. This isn’t the case with iEvaphone free calling app. Now, you don’t have to worry about any plug-in as this method does not need any installation service. Just be sure to enter the international format of the phone number and press the green calling button to make a call. After you are done, click on the red cancel button and you can hang up. As mentioned already, this particular app is free of cost. It won’t ask for a single penny from your side, even when you are done with the call. As there isn’t any hidden cost, so you don’t have to pay a single dime from your pocket. So, there is no need to present any credit card information too while using this app. Some apps might ask for such information as they are trying to extract money after a certain point. This is not the case with this particular free calling app. So, you can easily use this app without worrying at all. If the design is a bit sluggish, this will prevent users from working on this application. Easy navigation is the best way to attract more customers, as people don’t have much time to work on your website. 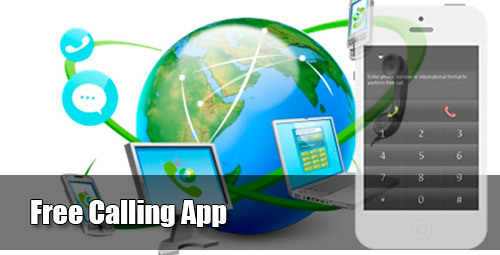 Therefore, this particular iEvaphone free calling app comes with the simplest design you can possibly imagine. You don’t have to go through any extra page as the phone pad is available right at the home page. Click on it, dial the number, and make calls without facing any form of difficulty.